Hammer Of Doom 2017 will take place at Posthalle in Würzburg, Germany on November 17-18, 2017. 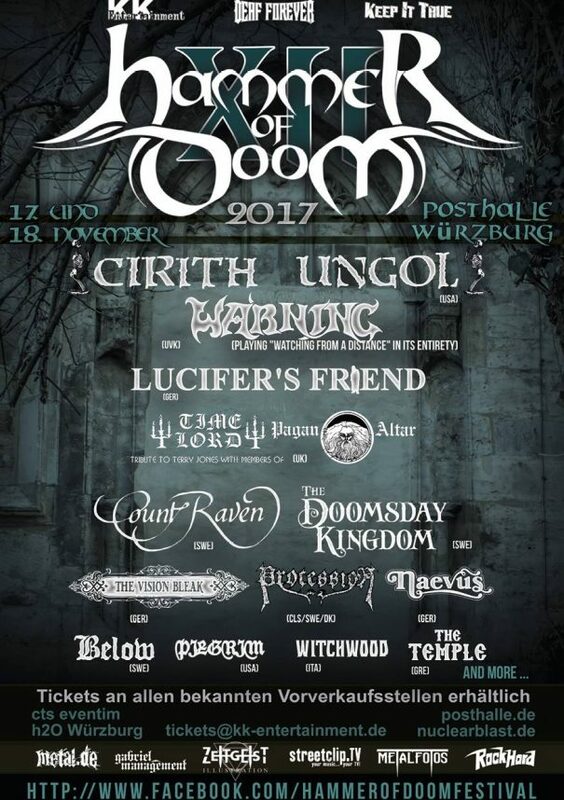 Cirith Ungol, Warning and Lucifer’s Friend are among the bands that will perform at Hammer Of Doom 2017 festival. Dark Easter Metal Meeting 2016 will take place at Backstage in Munich, Germany on March 27, 2016. My Dying Bride, Rotting Christ and God Dethroned are among the bands that will perform at the Dark Easter Metal Meeting 2016 festival. Summer Breeze will take place in Dinkelsbühl, Germany on August 15-17, 2013. In Flames, Agnostic Front and Sabaton are among the bands that will perform at the Summer Breeze 2013 festival.